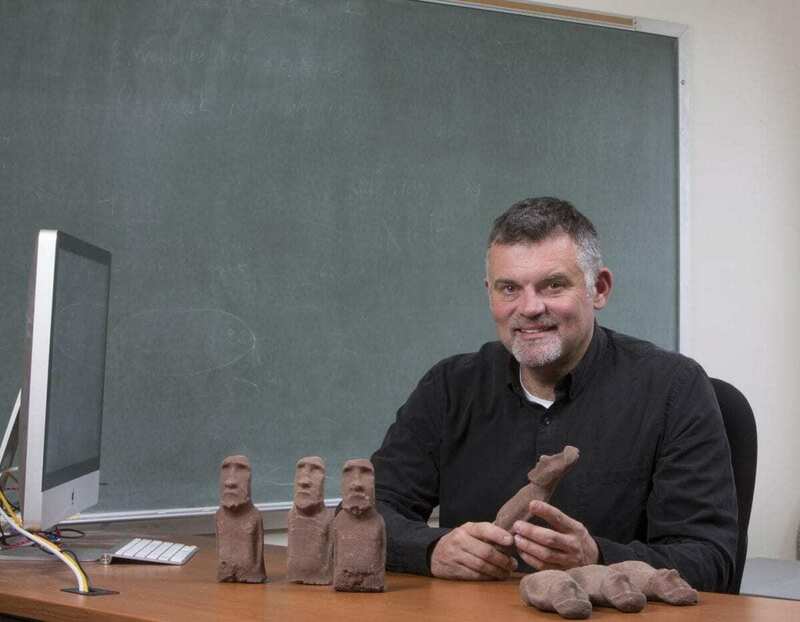 Analysis of remains found on Rapa Nui, Chile (Easter Island) provides evidence contrary to the widely-held belief that the ancient civilization recklessly destroyed its environment, according to new research co-conducted by faculty at Binghamton University, State University of New York. Lipo and a team of researchers analyzed human, faunal and botanical remains from the archaeological sites Anakena and Ahu Tepeu on Rapa Nui, dating from c. 1400 AD to the historic period, and modern reference material. The team used bulk carbon and nitrogen isotope analyses and amino acid compound specific isotope analyses of collagen isolated from prehistoric human and faunal bone, to assess the use of marine versus terrestrial resources and to investigate the underlying baseline values. Similar isotope analyses of archaeological and modern botanical and marine samples were used to characterize the local environment. Results of carbon and nitrogen analyses independently show that around half the protein in diets from the humans measured came from marine sources; markedly higher than previous estimates. These findings point to concerted efforts to manipulate agricultural soils, and suggest the prehistoric Rapa Nui population had extensive knowledge of how to overcome poor soil fertility, improve environmental conditions, and create a sustainable food supply. These activities demonstrate considerable adaptation and resilience to environmental challenges — a finding that is inconsistent with an ‘ecocide’ narrative. Lipo said that these new findings continue to support the idea that the story of Easter Island is more interesting and complex than assumed.